Raksha Gopal, a 17-year-old girl from Noida, has topped the Central Board of Secondary Education (CBSE) Class XII board examination after scoring 99.6 percent. Gopal, who studied Humanities at the Amity International School in Noida's Sector 44, scored full marks in three subjects — English, Political Science and Economics; she got 99 in Psychology and History. West Bengal education minister Partha Chatterjee had said that those who appeared for NEET suffered badly. "We have written to the HRD ministry and CBSE because the promise of identical question papers was not followed and tough questions were framed for the Bengali board students." The matter is now being heard in the Supreme Court. Stuck in the middle is the fate of a little over 11 lakh students in 103 cities who appeared for the examination in 10 languages at 1,921 centres. That's a large number, and a huge uncertainty. The CBSE released results for its Class XII exams on Sunday, but the board is in the dock over the National Eligibility and Entrance Test (NEET) 2017 as well, following an order from the Madras High Court asking the board not to publish NEET results until 7 June, 2017. The order from the Madurai bench of the high court followed after Sankalp, an NGO, alleged the test was not conducted in an uniform manner across the country and that question papers were leaked. The Anti-Terrorism Squad (ATS) of the Rajasthan police earlier arrested a Delhi-based gang involved in leaking the NEET question papers. As per media reports, the CBSE Class XII topper has expressed her desire to pursue honours in Political Science. While this comment cannot be used to predict the beginning of the decline of the traditional rush to medical and engineering, it is definitely a commentary on the youth of the country, who are now willing to explore a variety of career choices and take their own decisions rather than following the herd. Liberal arts education at the undergraduate also needs a revival and needs respect. Toppers gravitating towards them is an encouraging sign. CBSE board announced results of all 10 regions simultaneously. The Delhi region has the highest number of candidates (2,58,321), followed by Panchkula with 1,84,557 and Ajmer with 1,31,449 candidates. A total of 2,497 candidates under disabilities also registered for the exam this year. A student with 80.3 percent marks was crestfallen because no one is congratulaing her. Let us not limit celebrations to the toppers; parents, students and schools need to celebrate individuals and their milestones. Why didn't CBSE contest Delhi HC decision, like it originally planned to? The government had discussed the high court verdict with legal experts and said it would challenge the order in a higher court. However, it later opted out of doing so. This was especially the case because as many as eight states — including Haryana, Gujarat, Madhya Pradesh and Himachal Pradesh — have already declared their results. These students are now likely to suffer in undergraduate admissions, because their boards didn't follow their boards didn't follow the CBSE policy. What does marks moderation cover? - Giving grace marks to students to help them pass an examination if they are falling short by a few marks. - Giving grace marks to students for questions beyond expected or standard difficulty levels or for questions with errors. - Tweaking of marks awarded for the purpose of bringing uniformity to the evaluation process. This could include differences in how various examiners evaluate answer scripts or disparities in different question paper sets. The CBSE Class XII results were declared at 10.30 am on Sunday morning, but given the excess load of students, the website has become inaccessible. At the time of posting this update, the site was loading erratically and taking time to refresh. "Now, students will be mentally ready next year, because there would be no such additional marks. We are greatly relieved, but this ping pong game could have been avoided," says Sukanta Chakravarty, whose son appeared for the CBSE Class XII examinations. "I am happy that this uncertainty over marks is going to end." 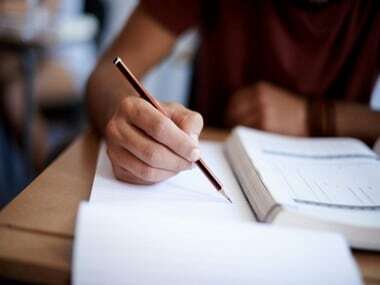 The Delhi High Court on 23 May said that doing away of the marks moderation policy was unfair to this year's students who had registered for the exam when the policy was still in place. The bench of acting chief justice Gita Mittal and justice Pratibha M Singh asked the CBSE why it could not implement the policy change from next year, as the results of the 2016-2017 exams were expected in a few days. The court made it clear that the CBSE did not handle the case sensitively and rushed to their decision in April. Should CBSE have scrapped marks moderation before conducting exams? CBSE was unanimous that the process of marks moderation was grossly unfair. But the decision to scrap it happened after the board examinations were held, which was considered unjust by many affected parties. The board results are considered the largest stepping stone to higher education because students secure admission to universities based on their CBSE scores. There are three official websites students can visit to check their results: cbse.nic.in, results.nic.in or cbseresults.nic.in. CBSE exams this year were already delayed delayed due to Assembly elections that took place in five states — Uttar Pradesh, Uttarakhand, Punjab, Goa and Manipur. Class XII exams began on 9 March and a total of 10,98,981 students appeared for it, an increase of 2.82 percent from 2016. To bring about uniformity in results and to make up for the differences in difficulty levels when dealing with different sets of question papers on the same subject, different education boards across the country adopted marks moderation, also known as "grade inflation", in 1992. CBSE had proposed scrapping the marks moderation policy on 25 April that entailed according extra marks to students as compensation for tough, inarticulate and confusing questions. However, the Delhi High Court said it can't do this at the last minute, as it would be unfair. 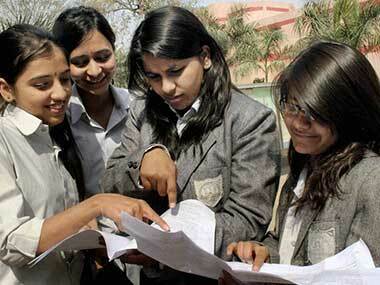 After a period of uncertainty, the CBSE Class XII results will finally be declared on Sunday. Union HRD minister Prakash Javadekar declared on Friday that there would be no further delay, and results would be announced on time. HRD Minister Prakash Javadekar speaks to students who topped Arts, Science and Commerce streams in their Class XII CBSE exams. The Indian Express has reported that all India passing percentage has gone down this year, being only 82 percent as against 83.05 percent for last year. The marks moderation policy is being debated because it is believed that it has led to grade/marks inflation in board examination results over the last decade. Average marks seem to have soared and that has led to a series of problems at the under-graduate admission levels in specific, but also in contributing to falling standards of academic rigour in general. However, while some sort of marks moderation is generally accepted, indiscriminate use of this to post facto correct anomalies like wrong questions in a board examination leads to several questions about how the system is administered. The CBSE board has added that the result will not be available at the board, and students have been told to not visit the board's office for its collection. They would be put up on the official website alone, and results' highlights would later be emailed to the students. Go to cbse.nic.in, results.nic.in or cbseresults.nic.in. Enter roll number and other required details. 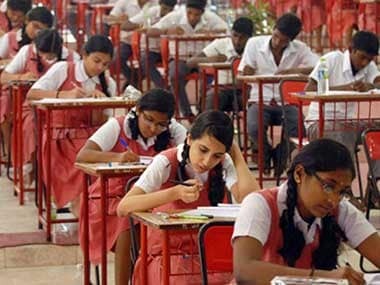 The Central Board of Secondary Education (CBSE) will announce Class XII results on Sunday, the board said on Friday. The results will be announced online and can be accessed on the official board websites, results.nic.in, cbseresults.nic.in and cbse.nic.in. The results are coming out after an ongoing controversy over the board's moderation policy. The CBSE had proposed scrapping the policy on 25 April that entailed according extra marks to students as compensation for tough, inarticulate and confusing questions. However, when the matter reached the Delhi High Court, it shot down the proposal, saying rules cannot be changed at the last minute. Union Human Resource Development minister Prakash Javadekar said that the board would declare the results of classes 10 and 12 on time. "CBSE results will be declared on time, the date will be told by CBSE. No need to worry about the court's order, justice will be done for all," Javadekar said. The court's direction came on a Public Interest Litigation (PIL) that contended that the policy should not be done away with this year since it will affect students of Class XII who have applied for admissions abroad.